Taliban-ISIS animosity will not stop the two groups from fighting the Afghan government and making territorial gains. Afghanistan has achieved a measure of economic and social resuscitation since 2001. However, the Taliban insurgency continues to haunt the country, a situation now exacerbated by the emergence of the Islamic State in Iraq and Syria (ISIS). A combination of factors, some internal and others external, are blamed for the current security landscape in Afghanistan. Major internal issues include ineffective governance and rampant corruption at various levels of government institutions, while external factors include Pakistan’s perpetual support for the Taliban and America’s apparent disregard for it. 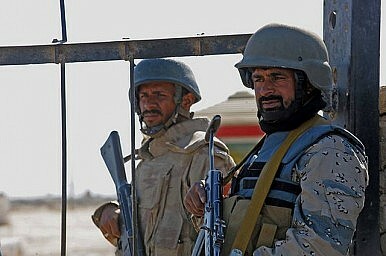 The poor governance has left the Afghan population disenchanted with their government, while the external failures enabled the fragmented remnants of the Taliban back in 2002 and 2003 to evolve an insurgent force now strong enough that it can bring a city such as Kunduz under its control in a span of 15 hours. Thus, with the deadline for total withdrawal of 10,000 U.S. troops in Afghanistan little more than a year away, Afghans are increasingly uncertain about the future of their country. In the north and south, the Taliban are able to conduct large-scale attacks, bringing Musa Qala and Kunduz under control. In the east, meanwhile, ISIS is gaining momentum, launching coordinated attacks on the Afghan National Security Forces (ANSF) in Nangarhar province. The fall of Kunduz to the Taliban and the growing activities of ISIS in Nangarhar reveal the inability of the ANSF to maintain the fight against Taliban-ISIS militancy in the long run, and negates the assumption that Taliban-ISIS animosity will weaken the two groups in their fight against the government. Last week, the United Nations issued a report claiming that ISIS is recruiting followers in 25 of the country’s 34 provinces. This is despite the fact that the domineering and exclusive agenda of ISIS, which seeks to create a transnational Islamic caliphate, has emerged as a dividing rather than unifying factor in Afghanistan. ISIS has challenged Taliban nationalist Jihad, while the Taliban in response has not only rejected ISIS but even begun to fight it. The fight between Taliban and ISIS may hold back the latter from repeating its breakthroughs of Iraq and Syria in Afghanistan. Moreover, rifts within the Taliban following the death of Mullah Mohammed Omar may leave it vulnerable to ISIS. However, this scenario does not appear to be helping the government keep the two groups in check. ISIS numbers are small in Afghanistan and the outfit must contend with the Taliban. But it is also important to remember that most NATO troops have withdrawn from the country and the Afghan security forces are too weak to fill the security vacuum that has been created. In Nangarhar, even as Taliban and ISIS clashed, they continued fighting the government. The clashes between them and against the government have turned Nangarhar into a volatile province, with the Taliban dominating some parts, while others have an ISIS presence. Thousands of families have been displaced and violence has doubled. This indicates that although they are rivals, Taliban and ISIS could make gains in different regions, creating separate fiefdoms, while remaining enemies just like ISIS and Al-Nusra in Syria. The necessary approach to fight militancy in such a fluid scenario is to forge regional partnerships. To that effect, the Afghan government has rightly argued that the solution to conflict in Afghanistan is not only national but also regional and global, just as the threat emanating from Afghanistan is. ISIS is a declared a transnational threat and that there are potential ISIS sympathizers among the Taliban also renders Taliban a threat beyond Afghanistan. The Taliban and ISIS in Afghanistan are not involved in a fight against only the Afghan government; in the long term they challenge the state system in the broader region. Continued international engagement and vigorous regional partnerships are a must if the two groups are to be kept at bay. If not, Afghanistan could potentially become fiefdoms of the two groups with broader repercussions. Central Asian militants groups, the Islamic Movement of Uzbekistan, which supports ISIS and Islamic Jihad Union, which supports the Taliban, will arrive at a juncture where they will turn their guns on Central Asia. Halimullah Kousary (@hkousary) serves as head of research with the Centre for Conflict and Peace Studies (CAPS) based in Kabul. His practice areas cover socio-political, security and terrorism issues in Afghanistan-Pakistan region. Does Islamic State Have a Future in the AfPak Region? The Islamic State's South Asia branch looks doomed to fail.